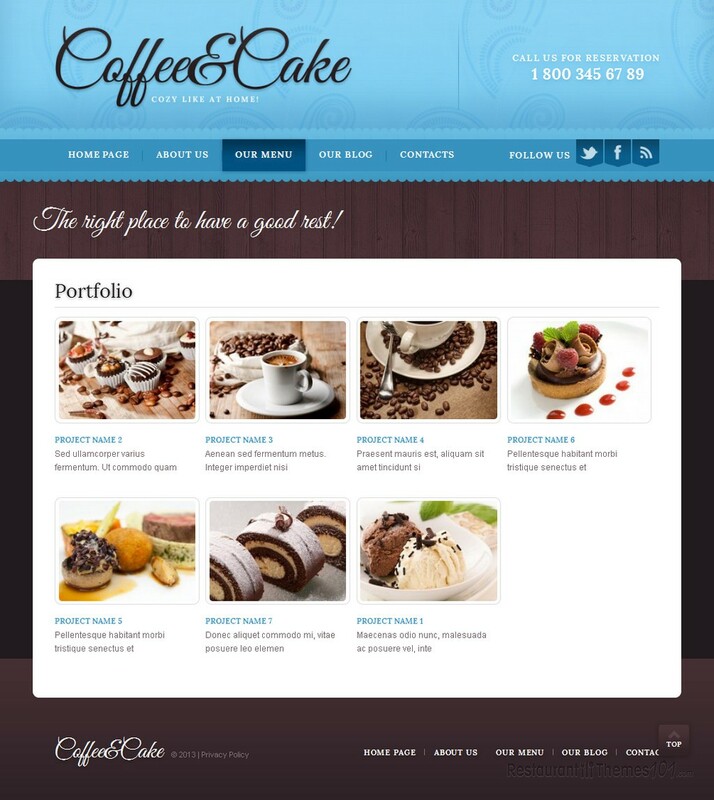 Coffee & Cake is a nice looking Drupal cafe theme developed by Elza and featured at Template Monster. 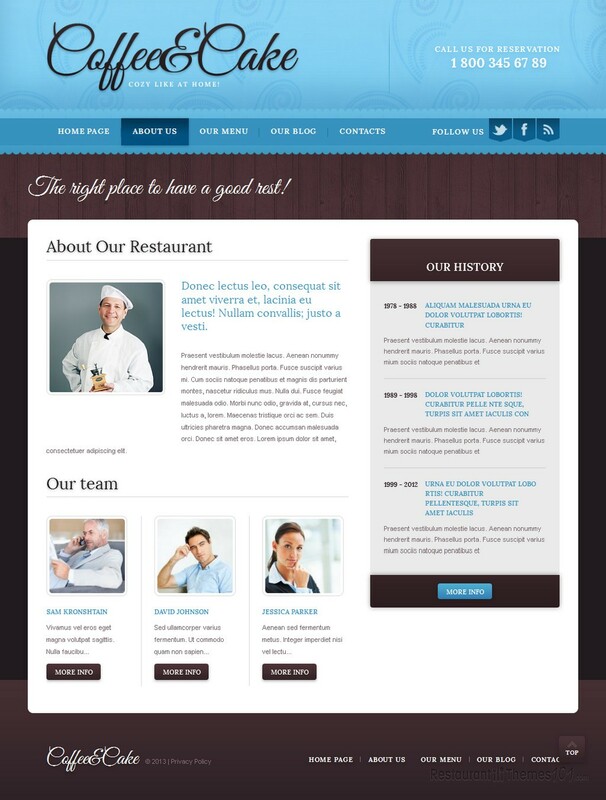 It features an unusually beautiful layout and many options that will enhance your website. This theme has a cute, sweet and classy looking layout. The choice of colors is light blue and few nice shades of violet, with an elegant design pattern. Large, quality photos of sweet delicacies can enhance the attractiveness of your website, and you will be able to place them at the very top of your homepage. Anyone who enters your website will be interested in whatever you choose to show them through these photos, be it the cozy atmosphere at your coffee shop, or photos of some of your mouth watering sweets. A proper introduction and welcoming note always gives a nice touch to any website, and this theme will allow you to introduce yourself and your cafe to your visitors right there on your homepage. You will also be able to feature various posts on your homepage, such as special offers, or introducing your staff, or simply presenting some of your newest delicacies. These posts will be featured on the homepage in a form of resized photos and some introduction text, along with a “read more” button which will be linked to the actual post, redirecting your visitor to the full content page. The right sidebars are great for featuring your news and announcing any upcoming events, or for displaying testimonials your satisfied customers have left about your place. 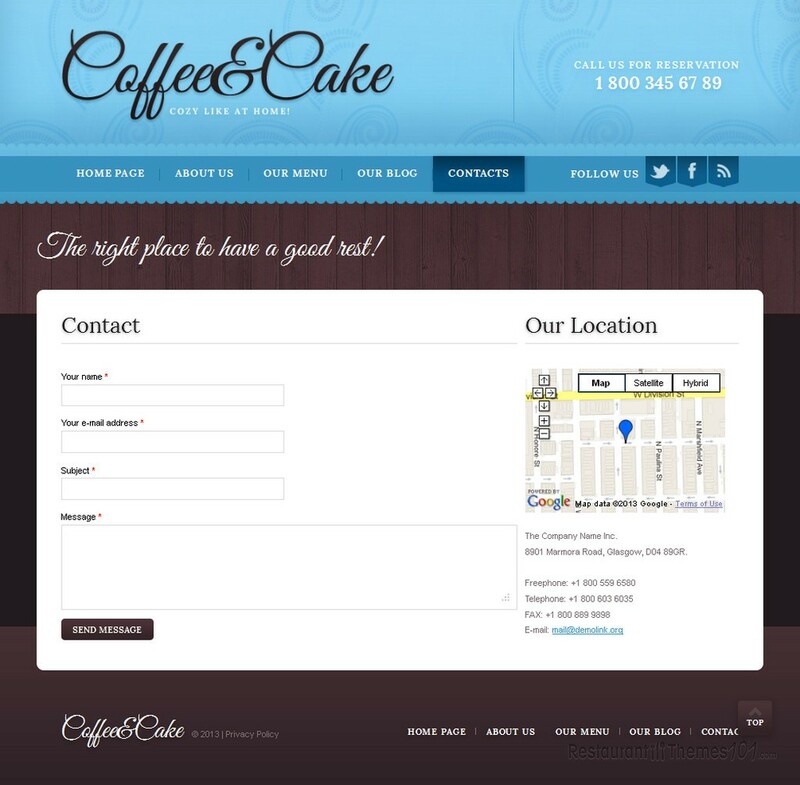 Coffee & Cake is a Drupal coffee shop theme that does not only look nice; it features several important options as well. This theme has great social integration allowing you to share your content on social networks. Google Maps is featured making it easy for everyone to make it easily to your coffee shop, and it also features a simple, efficient contact form so your visitors can easily email you through your website. 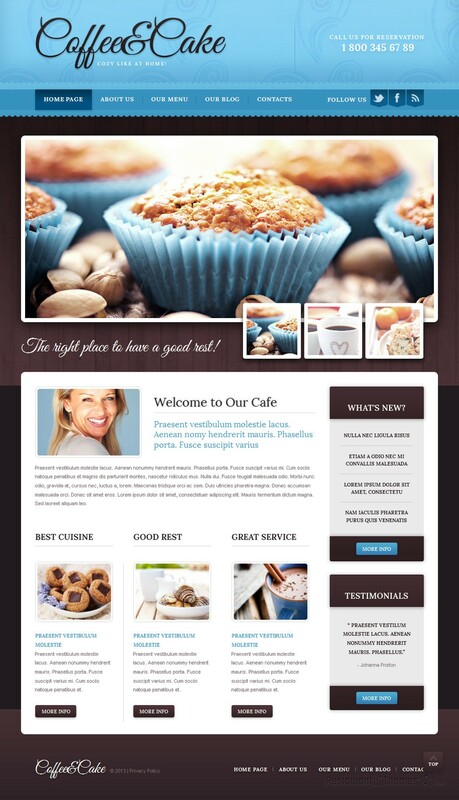 The whole theme is very well documented and highly customizable.